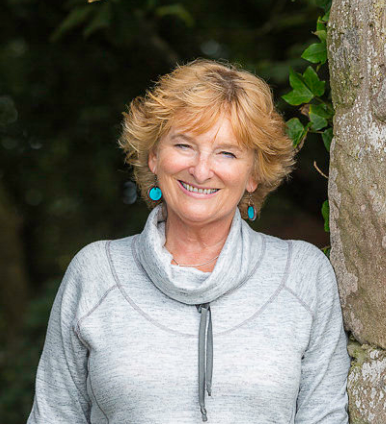 In our latest World Travel Blogger post, business woman Dorothy Dalton shares a Spanish travel secret. 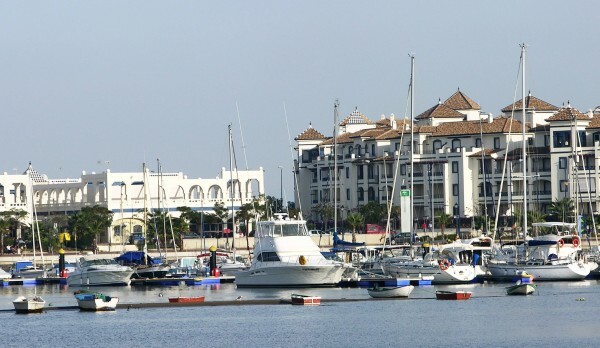 Situated on the Costa de la Luz, Ayamonte is a charming, still unspoilt town in Andalucia, linked by a road bridge to Isla Canela, where I have my bolt hole, a small island, a listed and protected national nature reserve and from there to 7 kms of unspoilt beach. This very Spanish town has become home from home for me, where mañana is not a form of procrastination to guilt trip about, but a perfectly acceptable way of life! I fell in love with the town first I think. 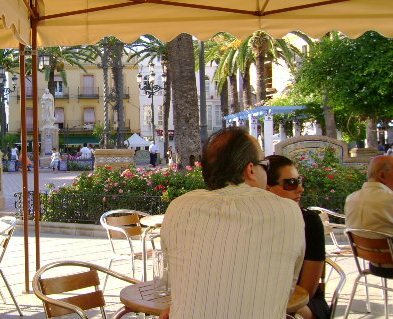 Drinking coffee in Plaza de Laguna in Café Galeria Passage, with churros bought fresh from kiosks just outside the market, taken steaming hot, brushed with sugar and cinnamon. Here all generations hang out together as grandparents sit on the benches and kids play around them creating havoc. Shopping in the indoor market (Mercado de Abastos), is a fabulous, just getting away from the ‘busyness’ of Northern Europe, learning to become patient, as I stand in line for what I would normally have considered to be inordinate amounts of toe tapping time, waiting to buy my fresh fruit, vegetables and fish. There are wonderful simple restaurants and tapas bars, serving basic local Spanish dishes. It took me a while to get used to the Spanish eating hours (dinner after 9 o’clock at night, preferably ten!) And a different shared way eating (para picar – or family style as it’s called in the US) and serving courses often times in no particular order. Wandering around the streets is joy, in narrow calle with picturesque whitewashed houses, pleasant squares, Baroque churches with some traces of the Manueline style architecture, because of its proximity to Portugal. The town is of Roman origin and the castle has Roman foundations, an Arab tower and the remains of Il Duomo in Milan. 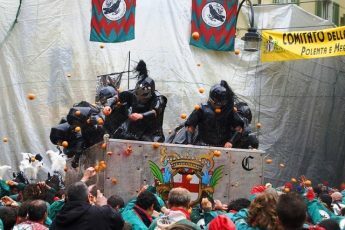 Steeped in tradition, a highlight is during the week before Easter, Semana Santa where there are traditional parades, centuries old. Barely 3 kilometres away is the Isla Canela beach. 7 kms of beautiful sand, with a promenade and cycle track linking the beach to the nearby marina, when I’m feeling energetic. I have always been intrigued that the Spanish are so lively by temperament and yet so orderly on the beach, with their little blue beach chairs, picnics and parasols. Even in the middle of August, there is something strangely peaceful about it! I love getting into Spanish rhythm and going down there at six in the evening after work and staying there until the sun goes down, drifting into beach cafes for sangria and tapas. It suits my body clock! What I also enjoy is using Ayamonte as a base to explore places further afield. Seville is about 1 hour 15 minutes away when I need my city fix and Granada, Cordoba, Cadiz, Jerez are all worth visits. I’ve even taken the hydrofoil to Tangiers. The magnificent Doñana National Park is only 45 minutes away. So at the end of an extended stay, it takes me a while to get the sand out of my hair, the sangria out of my bloodsteam and brace myself for the return north! With only bags of the local herb tea, bought from the market squashed into my suitcase, to fortify me through the winter – it’s hasta luego! 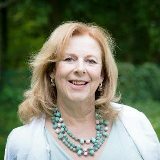 Bio: Dorothy Dalton is an international talent management specialist and career coach working on both sides of the executive search spectrum from ‘hire to retire’. What a lovely description of a clearly beautiful town. Its on the to do list! Looks lovely…..will add to my list of destinations! It takes me right back there looking at the pics and reading all about it:) will be booking shortly for my fix of long evenings on the beach and churos! 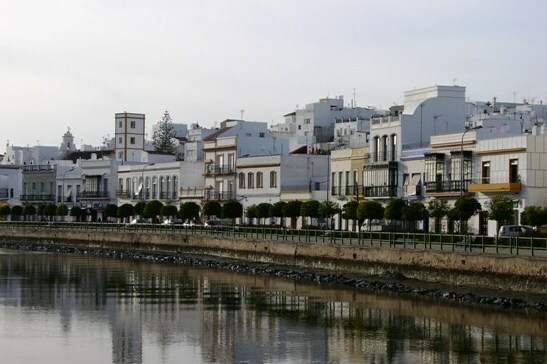 Great article, Ayamonte is indeed a hidden gem! Now I know why my heart tells me to go back! It brings back memories of the good times I had. You have told it exactly how it is. Oooh I love Ayamonte. JUST booked my flights to visit in July – counting down the days!! Great article. Such a treat to read about somewhere new – with lots of fans already by the look of it. 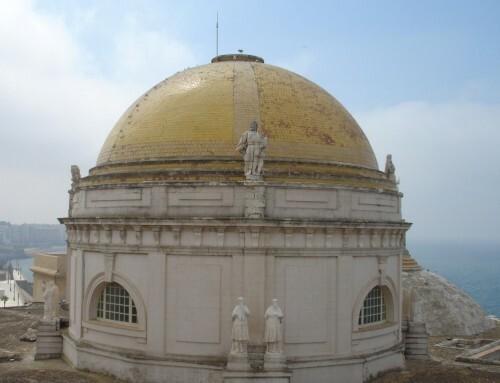 I’ve only visited Andalucia once – last year to Jerez and I absolutely loved it. I’ve considered visiting Ayamonte for years and now this has finally made me book my flights! Great article. Fantastic article – makes me want to pack a bag and head on over (leaving room for the tea, on the way home)! I have visited the area once but seem to know so much more from a very good article. I must visit next week on my way back from the Algarve on business. It sounds like the perfect place to chill. Thanks all for great feedback! Glad you like it as much as I do! Unspoilt Spain, I’m so glad to hear that it still exists! We have booked our flights and will visit Ayamonte and Isla Canela in August! Can’t wait!! Thank you for such a fabulous, honest review. Great article!You captured the relaxed pace of life perfectly.Can’t wait to sip the sangria and taste the tapas once again this August- lucky me! I am one of Dorothy’s sets of “old friends” and I think she has got it spot on. 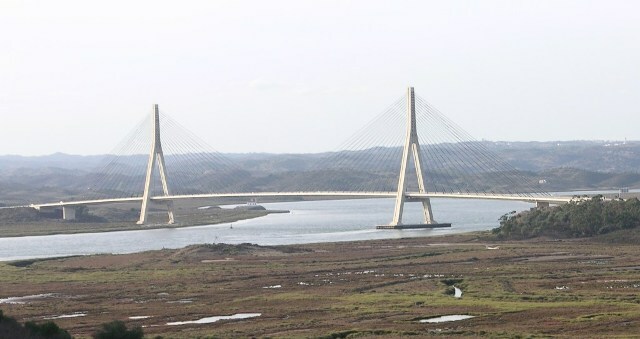 She could have added Ayamonte’s close proximity to the Algarve, great golf courses, mild weather in autumn and spring and the friendliness of the local people. Oh–did I mention cheap wine ! Oh Tim, this place just sounds better and better! We’ll be back!! In August this year. Having read the article it reminded me of all the reasons we bought a property there. Great article – And the experience you shared that’s amazing, falling me in love with the destination. Txs! Shhhh! Don’t make too much noise about it. It is a wonderful place that we stumbled on compleatly by accident several years ago. 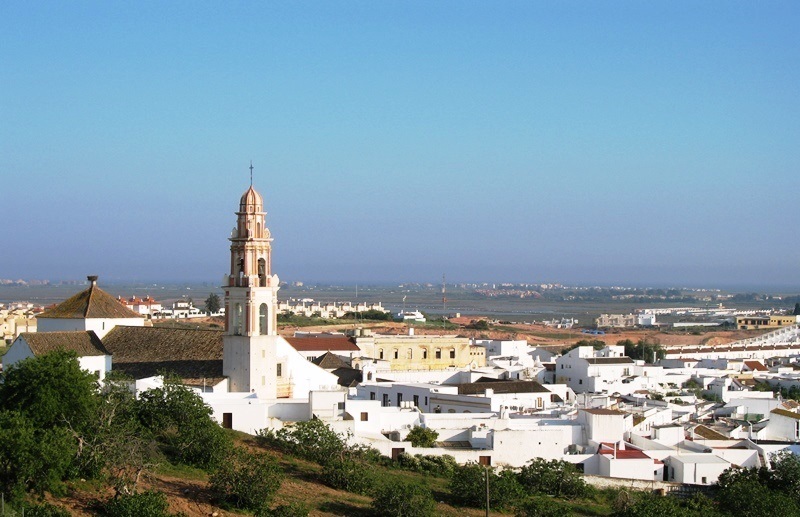 Your blog just touches on some of the many things to do and discover in and around Ayamonte. It is a hidden jem with beaches that are just perfect. We are leaving shortly for our 4th trip there this year we really can’t get enough of it. What a wonderful description of my town! I have been lucky enough to live here for two years I love it…..and I am still discovering new places to visit and new restaurants to eat and enjoy the local produce ” gambas y jamÃ³n” I have learnt to speak some spanish which has enhanced my experience here. Ps: The beaches are just as good as the carIbbean. Janet – I so envy you and MUST visit someday, if only to try those prawns! We’re off to Ayamonte this summer and can’t wait! We’re staying in a villa without a car. Will we be able to get around ok? On google maps it says we’re 18 minutes walking from Ayamonte town centre but 1and a half hour from the beach and 2 hours from the Marina! Bit confused. Can’t wait though – looking forward to some of that Sangria!! Have a wonderful time Helen – wherever you are! Marvellous place Ayamonte and with a stunning golf course called Isla Canela golf. Thanks for tip about the nearby golf club. I’ve had a place here for 10 years now and it’s awesome. It reminds me of the East Neuk in Fife Scotland where I live close to St Andrews. If culture and unspoilt countryside is your thing you need to be here. Easter Week is an exciting time.